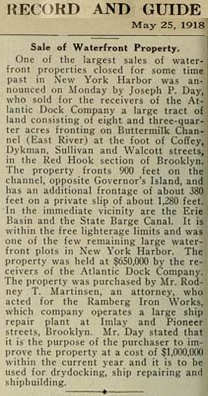 Ramberg Iron Works paid $650,000 to the receivers of the Atlantic Dock Company for eight and three quarter acres fronting the Buttermilk Channel at the foot of Coffey, Dykman, Sullivan and Walcott Streets in 1918. The site was within the free lighterage limits of the New York Harbor, meaning that cargo shipped to New York City could be brought there without incurring an extra fee. The new owners, however, planned to remake the property for drydocking, ship repairing and shipbuilding expanding their existing business at Imlay and Pioneer Streets. 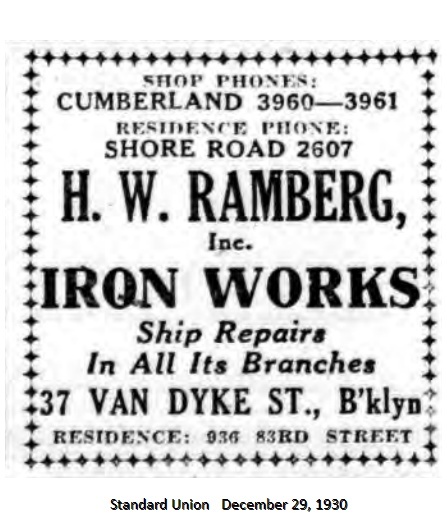 Hakon W Ramberg, a native of Christiana, Norway, had just established the Ramberg Iron works in 1917 after years working after years of working for other Red Hook area shipyards, such as A. Olsen on Union Street. 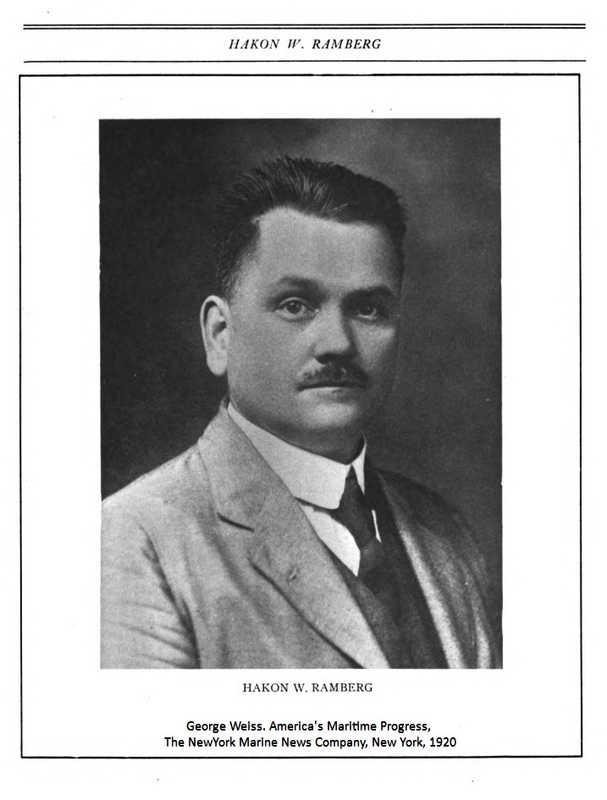 Ramberg retired and returned to Norway in the 1950s, passing the business to his son Oscar. Tragically, Oscar and his wife were murdered in their home in 1958. The Atlantic Dock Company, founded by Daniel Richards, was established in 1840. It offered both a large commercial port and also warehousiing for cargo. The company survived for half a century before going bankrupt around 1917. The Ramberg business stayed in Red Hook until shortly after the news that an IKEA was going to be built in the former Todd Shipyard in the early 2000s. 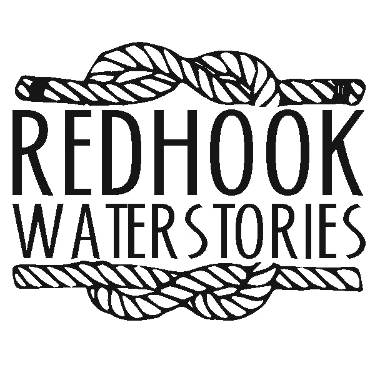 One of the Ramberg owners told PortSide staff that they believed the anti-IKEA protests that said Red Hook would be clogged with traffic, and they sold their buildings opposite the shipyard, partly because they thought their trucks would not be able to get in and out of the neighborhood. Real Estate Record and Guide, v 101, no. 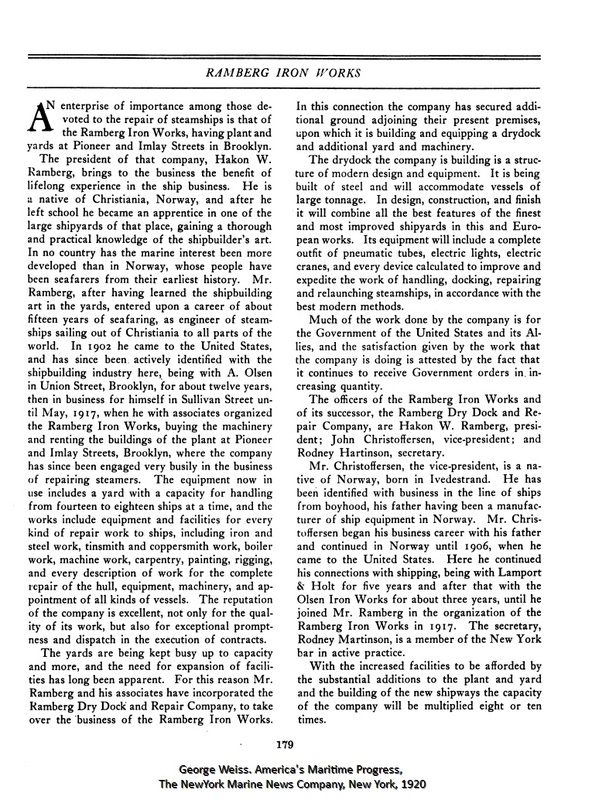 21, May 25, 1918, p. 676. Columbia University Libraries Digital Collections: Real Estate Record and Builders Guide. "Shipyard Owner, Wife Slain In B'klyn Home; Quiz Kin" New York Post, January 31, 1958.